Often you have to deal with the situation when the dishwasher is closed and no longer opens. In such cases, repair is required, otherwise, the dishes will remain locked in the working space. Think about whether there were any strange sounds when closing the doors. Perhaps, there were clicks or creaks. 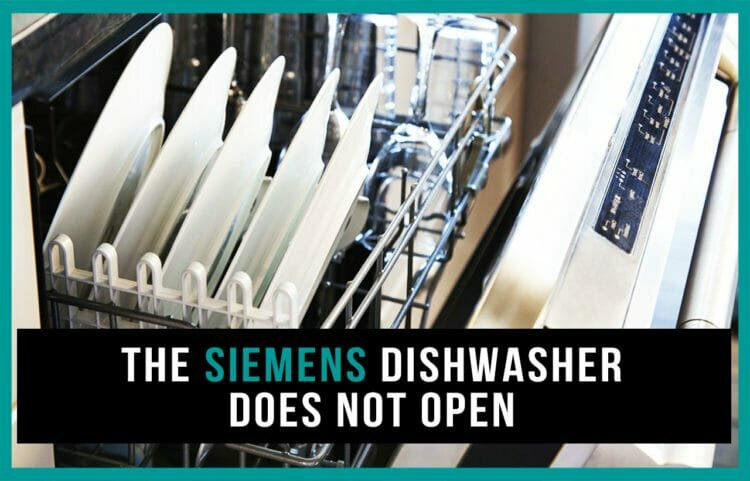 Identifying the malfunction is simple – the broken dishwasher will not open the door. The reason is simple – the locking mechanism is broken. As a rule, due to its wear and tear it is unfit for restoration – it needs to be completely replaced. Before you start the repair, you need special tools. Next, you need to buy a lock. It must necessarily be compatible with your dishwasher model. Otherwise, its proper mounting will be impossible. Since the lock parts are not sold separately, you will need a whole new lock. You will need hex keys, an ordinary screwdriver and a bent one. If you come across a situation when there are nuts in the located in hard-to-reach places, you will also need a ring wrench. If there is no problem with locking the door, connect the equipment to the power supply network and check its functioning. Please note: the dishwasher should start after closing.